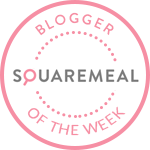 Emily's Recipes and Reviews | UK Food Blog | Leicestershire : parmesan, parsnip and brussels sprout gratin. Add festive side dish to add to your repertoire; a beautifully golden gratin featuring Parmigiano Reggiano cheese, creamy parsnips and Brussels sprouts. Finished with crispy bacon lardons and breadcrumbs, this is a must-have for Christmas spread come December 25th. Parmigiano Reggiano has a striking saltiness that makes it perfect to add a new dimension of flavour and texture to gratins, as well as a natural seasoning. Step one. Bring a large pan of water to the boil and add the parsnips. Boil for ten minutes. Step two. Meanwhile fry off the lardons for 5-10 minutes in a pan until cooked and crispy. Set aside. Step three. Add the sprouts to the pan with the parnsips and boil for a further five minutes. Step four. Drain the sprouts and parsnips. Add the cream, Parmesan cheese, nutmeg and black pepper to season. Step five. Stir together and add to an oven proof dish. Scatter the lardons, breadcrumbs and more cheese. Bake for 20-25 minutes until golden. Top tip: Make ahead for Christmas Day to bake! If you like this, you might like my edible gifting idea - Parmesan and Sesame Bites!